Chinese new year in China - The spring festival » Read now! More than 750 million Chinese start their journeys, and travel throughout China in order to visit their friends and families at home. It is Chinese spring festival, also known as Chinese New Year (CNY). Although CNY is the most important feast of the year for almost one fifth of the world’s population, it is not very well known in western countries. 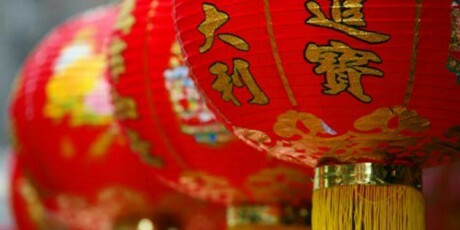 During CNY, many extraordinary but also very interesting traditions are celebrated. 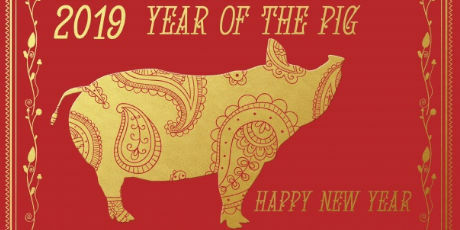 Today, two different New Year feasts are celebrated in China. Western New Years Eve is feted since 1911, when the Gregorian calendar was introduced in China. However, the more important New Year festival is the CNY, which the official start of the year until 1911, and is still the most important feast in the year. It is based on the Chinese lunisolar calendar, which is oriented on the sun as well on the moon. The specific date of CNY is always on the second new moon after the winter solstice and therefore changes a few days every year. In 2015, the 4.713th Chinese Year begins on February 19th. It is the year of the goat, which stands, among others, for stability and justice. Thus, Chinese believe that in this year outstanding lawyers and artist are born. According to legends, a man-eating monster was living in the Chinese mountains and woke up on CNY after its winter sleep. Due to its long sleep, the monster was very hungry and was looking for food in the surrounding villages. In order to chase the monster away, the Chinese painted and decorated their houses red and gold and made as much noise as possible, since the monster was afraid the colours red and gold as well as of loud noises. Thus, since thousands of years, Chinese people decorate their homes in red and gold during CNY in order to celebrate the expulsion of the monster. Moreover, fireworks play an important role during the 15 days of the festival. Today, 90% of worldwide fireworks are produced in China and many of them are used there as well. In order to celebrate CNY, Chinese use lots of fireworks. This has prominent consequences – in 2012, more than 6000 accidents related to fireworks were reported only on the first day of CNY. The preparations for the most important fest of the year already begin weeks before the actual event. Houses are cleaned, painted in red and decorated in gold. This shall bring luck and make a good impression when the luck enters the house in the New Year. Traditionally, CNY has 15 holidays. Today, most Chinese take five to eight days off; three days of them are public holidays. On the last day of the old year, the whole family comes together and have a big meal together. Children get their Hongboas, which are red envelopes filled with money, which will be opened on the first day of the new year. At around 11pm, the family leaves the house in order to take out the tracks of the last year. Thereby, windows are opened in order to led in the luck. From 11pm until the early morning a big firework takes place and firecrackers is sett off. Traditionally, the first day of the New Year is celebrated in the family circle. The so-called Reunion dinner is the most important meal of the year and often brings several generations of a family together. Since the spring festival is the start of a new year, Chinese follow specific habits, which shall bring luck in the following year, such as not washing the hair on the first day of the year or wearing red underwear, since it shall ward off bad luck. In the following days of the New Year Chinese visit relatives, friends and ancestors. Since today many Chinese live in the big metropolises far away from their families, some Chinese already have go back to their new homes already on the 4th or 5th day of spring festival. On the 15th day of the New Year, the Lantern Festival takes place, which is also the end of the Spring Festival. On this day Chinese eat Tangyuan and set up candles outside of their houses in order to guide deceased the way home. Differences among generations are well known in western countries. However, in China, where older generations grew up in the closed regime under Mao and where generations born after 1980 were strongly influenced by the western lifestyle, world views differ even stronger amongst generations. This also can be seen at the traditions and habits during CNY. Today, many young Chinese don’t want to take the big effort of traveling days through the country in order to see family members they hardly know. They prefer to spend the holidays with their friends in the cities, which is now the centre of their lives. However, during CNY still more than 750 million Chinese travel, which is around the population of whole Europe, are on the move. Imagine if all Europeans would travel at the same time! It is the worlds biggest regularly migration period. There’s no other festival in the world, which lames a country as much as CNY lames China. Employees often take a big portion of their holidays during this period and leave work for up to three weeks. Some workers don’t return at all after CNY. This is because new job opportunities are discussed and offered in family circles during the spring festival. And since annual bonuses are paid out before CNY there is no reason to come back for many Chinese. Keeping this in mind, tourists shall be aware that travelling can become quite exhausting during CNY. Trains, buses, plains and hotels are packed and tickets are more expensive than usually. Moreover, many shops and restaurant might be closed, especially during the first days of the New Year. However, traveling is still possible. Finding restaurant, hotels and transportation modes just will be more difficult. If tourist plan to visit China during the spring festival the most important thing to bring is: patience.